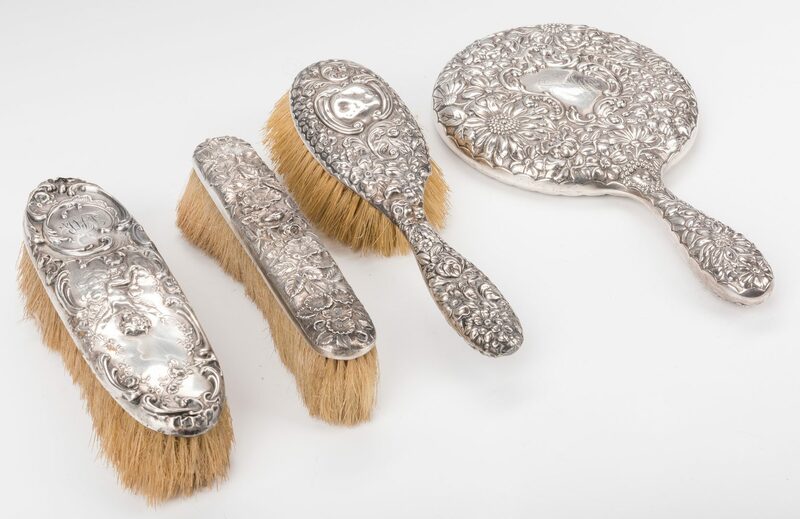 4 Sterling silver vanity or dresser articles. 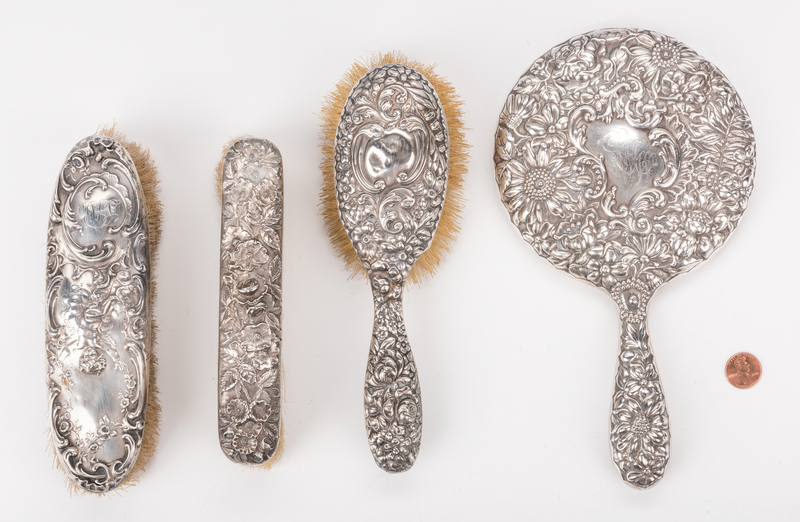 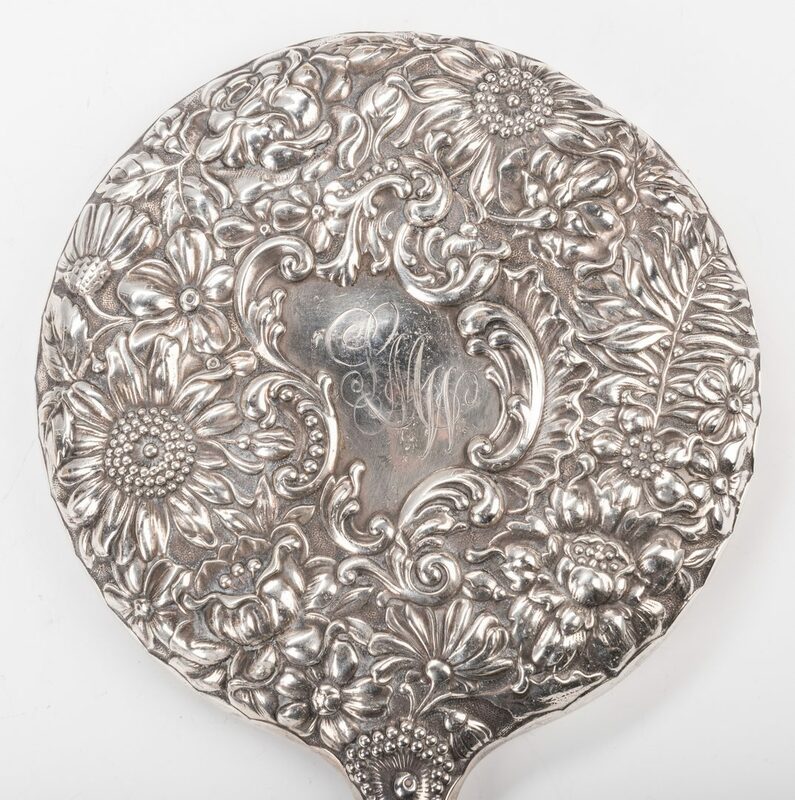 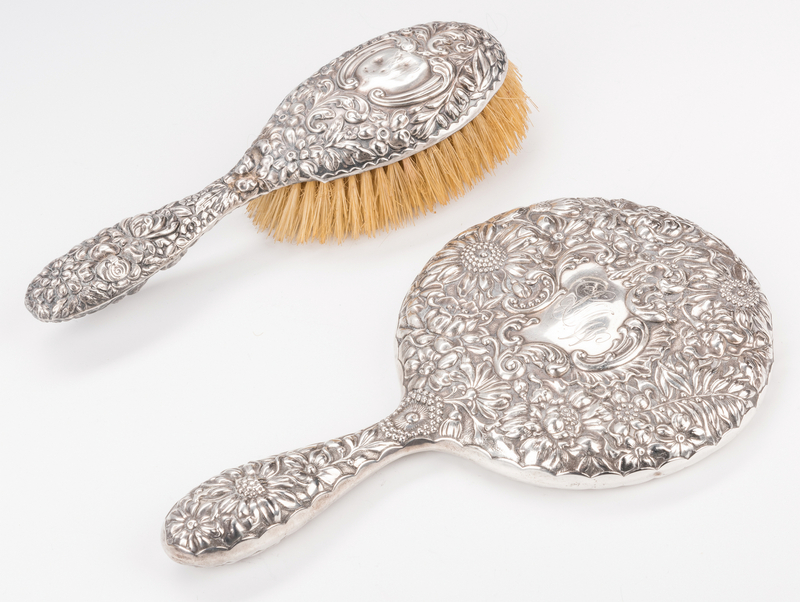 Includes S. Kirk & Son Repousse pattern hairbrush, clothes brush and mirror, monogrammed JLW, and one clothes brush with repousse cherub motif, marked Sterling, monogrammed LMR. 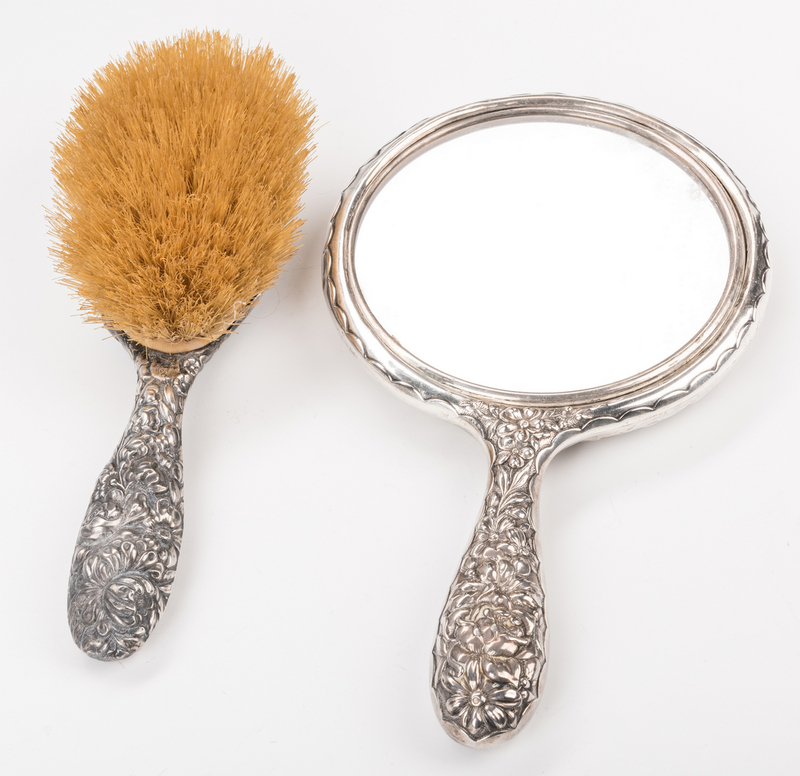 Mirror 9 1/2" L. American, circa 1900. 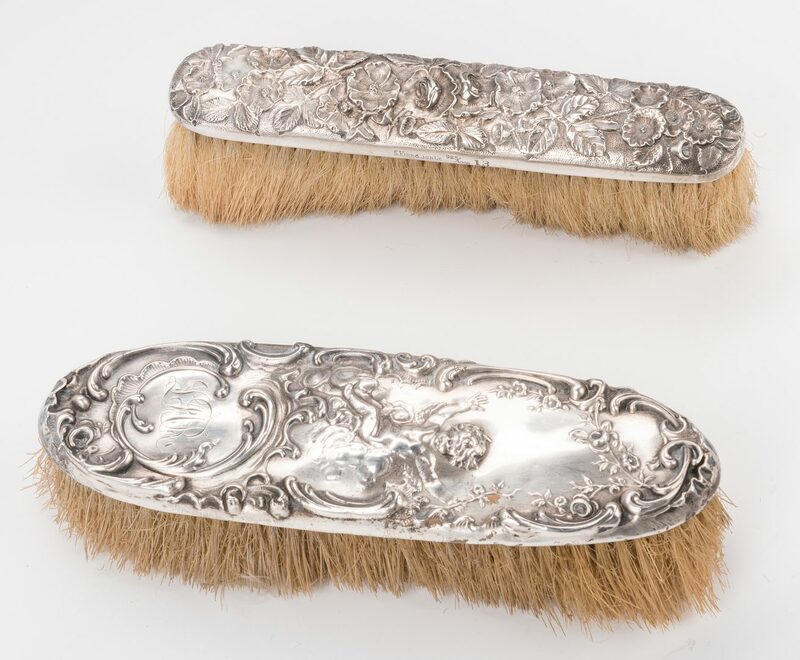 CONDITION: Scattered small dents, most noticeable on back of hairbrush near monogram reserve, overall good condition. 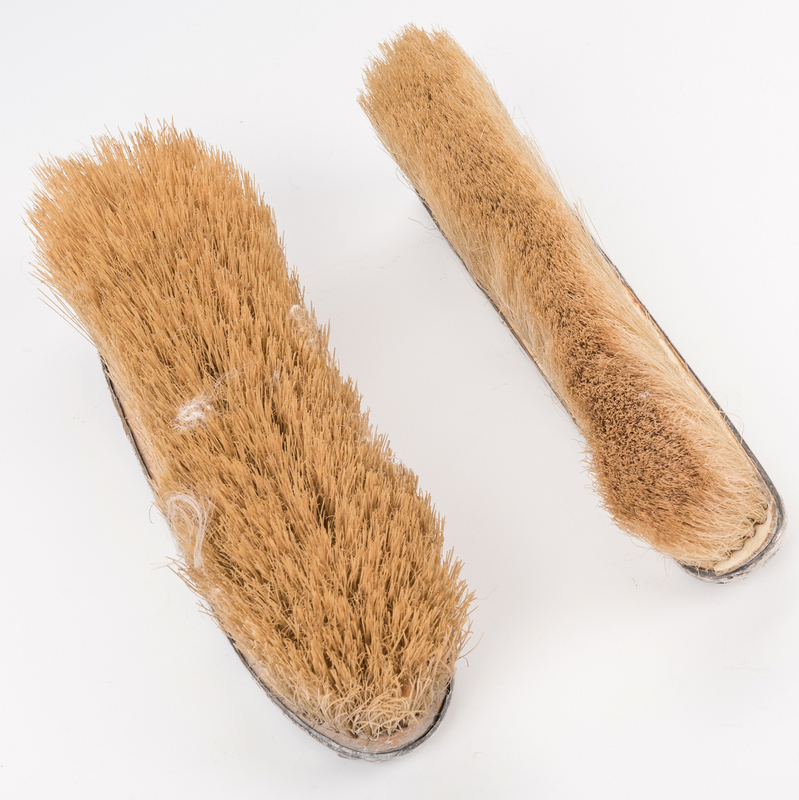 Bristles are yellowed and worn but intact.